Just like Fahrvergnugen and Drivers Wanted, the days of Volkswagen's "Das Auto" campaign slogan has reached its end. It is one of the first casualties of the Dieselgate scandal that rocked Volkswagen in the last half of 2015. A VW spokesperson from Germany has said that "Das Auto" will no longer accompany the brand's logo and will be phased out across the world. 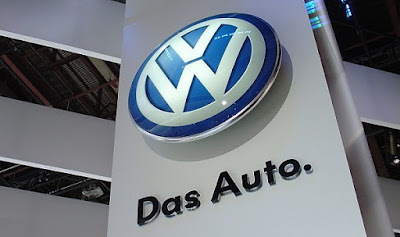 Simply meaning The Car, Das Auto showed up in 2007 under then VW boss Martin Winterkorn's plan to make Volkswagen Group the number one auto manufacturer in the world. It summed up the company at that time. Ambitious, focused on alternative powertrain development like diesel and hybrid-electric vehicles. Das Auto now seems "pretentious" in the shadow of an uncertain future for one of the worlds best know auto makers. So what does the future hold? A surge of management changes and PR hires have been on going at VW and it is said that at a recent group management meeting that the group's core focus is to now shift to all efforts of fixing Volkswagen.